Don't inadvertently hurt your job prospects by misusing the service. One of the best, and most important, things about social media is that there are no hard and fast rules. Social media is what you make of it, and there's no right or wrong way to use it. However, some social networks are better-suited for certain activities than others. LinkedIn has more than 300 million members looking to connect, network and improve their careers. The platform also saw the number of active job listings increase tenfold during the last year, to 3 million current openings. 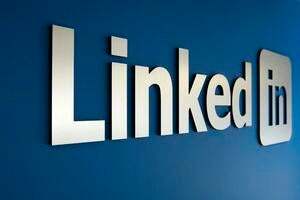 LinkedIn is on a mission to have every job in the world listed on its site. Meanwhile, its self-publishing platform surpassed a million long-form posts, and LinkedIn users collectively publish around 50,000 posts per week. The site serves many different purposes for individuals and businesses with varying skillsets and objectives. As the platform grows, it becomes more important — and more challenging — to get the most out of LinkedIn without annoying or alienating fellow members. Thankfully, we're here to help with the following LinkedIn rules of engagement. LinkedIn represents an invaluable opportunity for its members to connect with like-minded individuals and businesses, but sometimes it's easy to lose sight of how best to establish those connections. No one likes to receive a cold call out of the blue, and the same is true for random connection requests on LinkedIn. Try to be considerate of peoples' time (and, perhaps, their foggy memories) by making sure that recipients know who you are, or at least why think connecting on LinkedIn will result in meaningful value for all parties. Maybe you both work in the same industry or share mutual connections. If so, so say in your connection request, but don't assume fellow LinkedIn members want to connect based on these things alone. Explain why you want to connect, and do your best to make your connection request seem valuable. LinkedIn is not the place to talk about your hectic morning, rehash arguments with your spouse or share anything else you wouldn't typically discuss with colleagues and other professionals. It's OK to show some personality, but consider how your posts affect the way you're perceived on LinkedIn. Use LinkedIn to showcase your proudest achievements, as well as any relevant work experience that demonstrates your skills and value in the workforce, but save the personal details for other social networks. LinkedIn has a funny way of tricking its users into sending invites to contacts that aren't yet members. When you connect an address book to LinkedIn, the site automatically populates a list of contacts who are already members so it's easy to initiate connect. However, it also lets users invite non-LinkedIn members to join the service. It can difficult to differentiate between the two options, particularly when they appear side by side or in the same list. There's nothing wrong with inviting colleagues to join LinkedIn, of course, but you should be selective with who you invite. It's also wise to remember that if someone isn't already on LinkedIn at this point, they could be purposely avoiding it. Updates are another Linked feature, and occasional annoyance, that should be used sparingly, or at least strategically. Go to your settings, and make sure updates are turned off if you don't want your entire network to know every time you make any sort of change to your profile. It's fine, good even, to let people know when you're promoted or when you take on a new venture, but not everyone needs to be alerted when you add a new skill or update your biography. LinkedIn automatically generates a quick message that's sent to recipients of your connection requests, but a little personalizing can go a long way. It only takes a minute or two to write something more personal, and that extra effort makes you look more professional. You can dramatically increase your chances of a successful connection by including details about yourself or the circumstances in which you met. People will appreciate it if you remind them when or how you met in person, and doing so can be the different between a new connection and an ignored request. The choice not to use a LinkedIn profile can be almost as damaging as the choice to use a photo that shows oneself in unprofessional circumstances. You may enjoy wearing tank tops or going unshaven on weekends while you take your WaveRunner out for a spin, but your colleagues and potential leads probably don't share the same enthusiasm. The photo you use to represent yourself on LinkedIn is often the first thing others see, and it can play a significant (sometimes unfair) role in establishing a first impression. Professional headshots aren't required, but try to at least use a photo that paints you in a serious and professional way. The most important rule on LinkedIn — and any other social network, really — is simple: don't be an @$$#*!~. You don't always have to be nice, but you can get your point across on LinkedIn without being mean, calling people disparaging names or posting hurtful things. This story, "7 common mistakes job seekers make on LinkedIn" was originally published by CIO. What do today's graduates expect in the workplace?